Undoubtedly the most renowned example of intramural burial in antiquity was the Maussolleion at Halicarnassus. Since its rediscovery within the writing of Vitruvius, Pliny and other ancient authors by Renaissance architects its form has been a frequent subject of speculation. The results of the archaeological campaigns of the 19th and 20th centuries have allowed the discussion to encompass an aesthetic evaluation of the temple-tomb’s actual remains. The Maussolleion’s seemingly disparate assortment of architectural forms, which samples motifs from prominent Mediterranean cultures (Lykian podium, Greek temple, and Egyptian pyramid) has been characterized as the ultimate statement in bad taste by a self-aggrandizing satrap. In order, however, to understand the architect’s and patron’s intentions it is necessary to reach beyond the superficial reading of the Maussolleion as an omnium-gatherum of architectural and sculptural ornament. An analysis of the iconography of the architectural and sculptural elements which (according to Roman sources and corroborated by archaeological evidence) were combined in the Mausolleion’s design reveals that the motifs were chosen to bring to mind, and to improve on previous, well- known building programs. 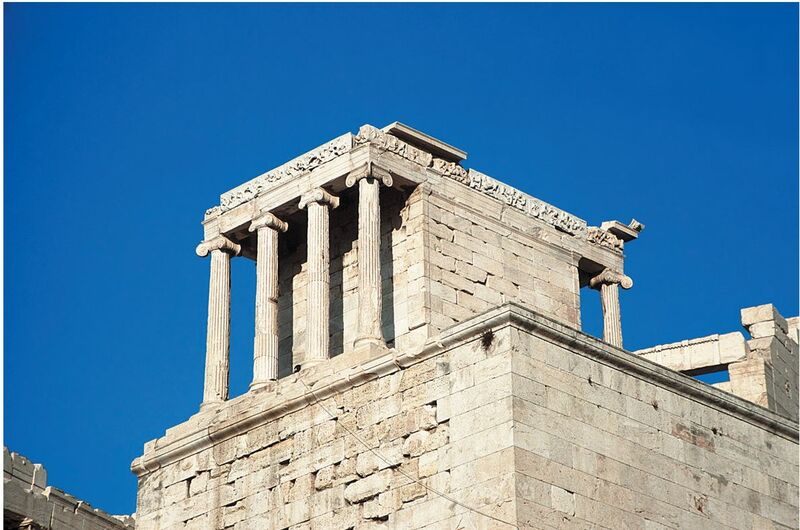 Not only does the temple architecture central to the design justify the building visually as a place of worship, but specific architectural forms and sculptural subjects appear to draw on the religious buildings of the most important city of the Mediterranean in the 5th century BC, Athens. In the case of the Mausolleion it is a question not of Maussollos’s (or his architect’s) lack of understanding of the conventions that govern architectural forms and styles, but rather of a highly informed, positive solution to the unusual problem of how to incorporate a massive burial monument within the walls of the redesigned city of Halikarnassos, promote Maussollos on a divine scale, and signal Halikarnassos as a major urban center of the Mediterranean in the 4th century BC. I would like to thank Olivier Henry for inviting me to participate in the conference Le Mort Dans La Ville, 2èmes rencontres d’archéologie de l’IFEA. Thanks are due as well to my colleagues Anne-Marie Carstens, Alex Herda and Oliver Hülden for valuable comments and discussion at the time of the conference, and to Guy Hedreen and Gregory Leftwich for many constructive suggestions about the present paper. I would like to dedicate this article to the memory of my extraordinary mentor, Professor Frederick A. Cooper, who first introduced me to the works of Richard Krautheimer, and the concept of an iconography of architecture. 1The Maussolleion at Halikarnassos was arguably the most famous intramural burial of classical antiquity. By the 2nd century BC the “mnema of Maussollos” was listed as one of the Seven Wonders of the ancient world1. It may well have stood until the 12th century of the Common Era. 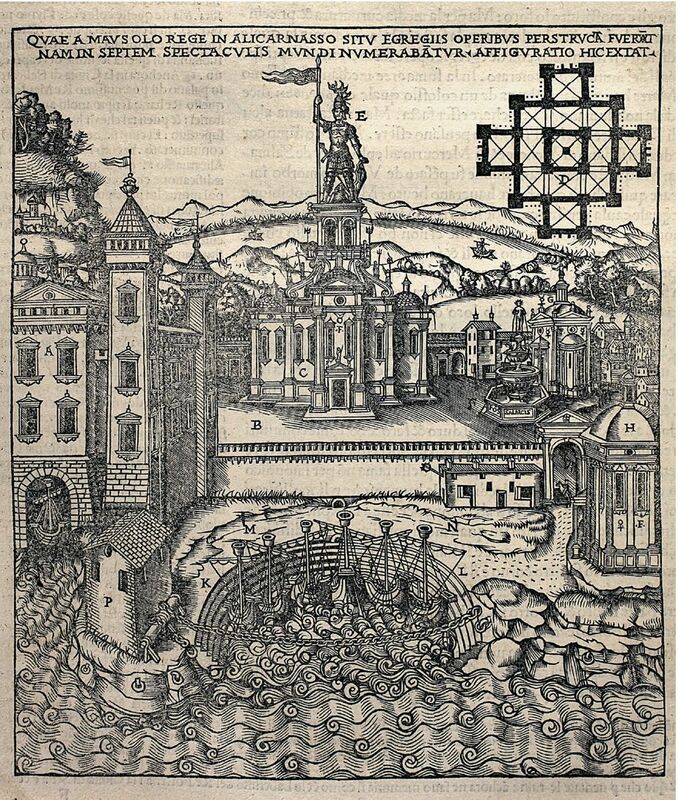 The irony of its final dismantling by the Knights of St. John in the 16th century in order that they might rebuild the castle of St. Peter is heightened by the fact that at the moment the blocks of the Maussolleion were being destroyed in Halikarnassos, the tomb was being visualized by European artists and architects. 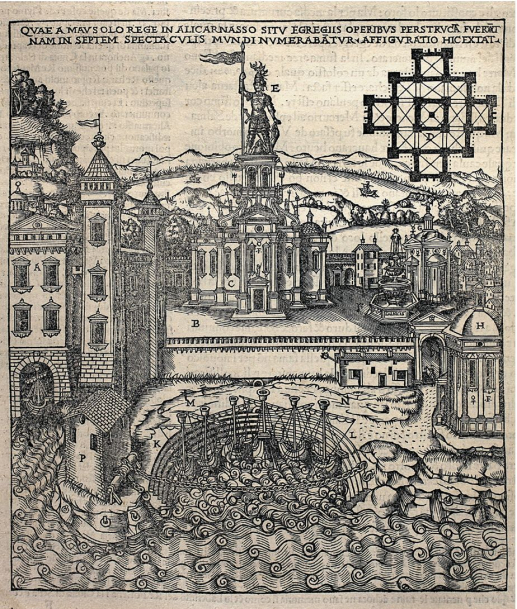 One such early reconstruction is Cesare Cesariano’s woodcut of the Maussolleion that served as an illustration in an early edition (1521) of Vitruvius’s de Architectura (fig. 1)2. Once Renaissance artists rediscovered it in the works of the Roman writers Pliny and Vitruvius, and began their reconstructions on paper, the Maussolleion’s fame was assured for posterity in the western canon3. 4 See Jeppesen 2002 for the definitive publication of the Maussolleion’s superstructure. 2The Maussolleion was designed as a pastiche of architectural forms that were well known in the Mediterranean by the middle of the 4th century BC: a podium that historians have assumed to be Lykian in style, a superstructure in the form of an Ionic Greek temple, and a roof that was stepped but ultimately pyramidal in shape, and which, perhaps, was meant to recall the pyramids of Egypt. The building also supported a superabundance of sculptural ornament, including ornate Ionic mouldings, action packed figural friezes and freestanding sculptures on three scales, from under life size to colossal (fig. 2)4. An analysis of the iconography of the architectural motifs which, according to Roman sources and corroborated by archaeological evidence, were brought together in the Maussolleion’s design, suggests that the combination of eastern and central Mediterranean motifs do not reveal a lack of understanding of, or a disregard for, the conventions that govern architectural forms and styles, but instead present a unique, positive solution to the unusual problem of how to incorporate a massive burial monument within the walls of the redesigned city of Halikarnassos. When we consider the architectural features of Maussollos’s tomb and heroon in concert with the sculptural program, we find a carefully constructed series of references to well-known religious buildings from the major cultural center of the Mediterranean in the Classical Period, Athens. A study of the iconography of the architecture and ornament of the Maussolleion helps us understand the placement of the tomb within the city center. It also helps situate Maussollos vis à vis Halikarnassos and Halikarnassos in the Mediterranean, and further reveals the refounder’s ambition for the new Karian capital. 6 Krautheimer 1941, especially 117-126. 3In his well-known article, “Introduction to an Iconography of Medieval Architecture”, published first in 1941, Richard Krautheimer encouraged students of architectural history to look for intended content in the transference or imitation of architectural motifs, some overt, others very subtle, from one context to another5. According to Krautheimer a small church in Germany, France, Italy or England could call to mind the Church of the Holy Sepulchre in Jerusalem through the use of the same number of piers or columns even if the later church was built in a completely different style and on a much smaller scale than the original church that inspired its construction, and even if the form of the support – a pier or column – varied from that of the original6. More overt patterns of imitation and emulation in architectural style and sculptural subject matter can be seen among buildings in different parts of the Mediterranean as early as the 5th century BC. One case is found at Olympia where the sculptor of the metopes of the 5th century temple of Zeus (constructed between 471-457 BC) intentionally made reference to architectural or topographical features of different poleis in Greece and Magna Graecia in certain metopal compositions. On the metope where Atlas brings Herakles the Apples of the Hesperides, the hero holds the heavens apart from Earth with his bent arms, tense body and locked knees (fig. 3). Athletes from Akragas who competed at Olympia would recognize in the hero’s pose the posture of the colossal Atlas figures from the exterior of their own city’s temple of Zeus Olympios (fig. 4). An Athenian visitor to Olympia might imagine Athena resting her bare feet on the rocky surface of the Akropolis on the metope where Herakles brings the goddess the Stymphalian birds (fig. 5)7. An athlete from Nemea would acknowledge a story from his region when saw the metope that showed Herakles’ first labor, the defeat of the Nemean Lion, and so on. By referring to temples, tales and topography from other regions the building’s master sculptor underscored the panhellenic quality of the sanctuary and the games in honor of Zeus at Olympia. 4In the 4th century BC architects and sculptors on the western coast of Asia Minor apparently looked to Athenian buildings of the 5th century BC when designing temples and tombs, while preserving aspects of local architectural styles. They also turn east, to Persia, for inspiration8. The Heroon of Perikles at Limyra echoes the Erechtheion in Athens with its karyatid porch, and like the heroon at Xanthos, the “Nereid Monument” (fig. 6), may recall the temple of Athena Nike in the architectural form of the Ionic temple on top of a high podium (fig. 7)9. While the design of the Maussolleion of Halikarnassos has many stunningly novel features, others seem recognizably and intentionally derivative. The known elements of Maussollos’s monument show inspiration from more than one source, in more than one geographical and political area. Ann-Marie Carstens’ paper in this volume traces the political iconography in the architectural and sculptural themes of Maussollos’s tomb to well-known buildings of the Persian Empire. 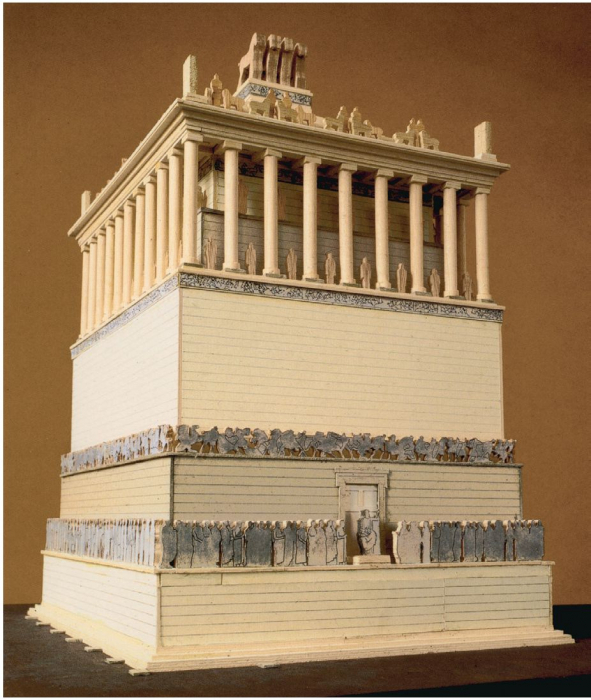 In this paper I attempt to trace the religious iconography of the Maussolleion to Athens’ best known buildings, the 5th century temples and shrines of the Periklean building program on the Athenian Akropolis. The Maussolleion stood in between the two very different centers of Mediterranean culture. In his use of motifs from both Persia and Athens Maussollos constructed a monument that not only reflected his own cosmopolitan background but broadcast his political and religious ambitions. 10 Jeppesen et al. 1987-2004. 11 For example Henry 2010; Carstens 2002 and 2010. 12 Rumscheid 2010; Brunwasser 2011. 14 See Herda’s contribution in this volume. 16 Thuc 1.138.5; Hornblower 1982, 256. 17 For Brasidas, Thuc. V. 11; Hornblower 1982, 255 and for Kineas, 256. 5The definitive study of the Maussolleion and its site by the Danish Archaeological Expedition to Bodrum has been published by Kristian Jeppesen and colleagues10. Ongoing investigations in Karia help us place the Maussolleion within the larger context of ancestor, hero and tomb cult in Karia11. The recent discoveries concerning the Uzun Yuva in Milas (ancient Mylasa) help us envision the Maussolleion in a continuum of important tombs for members of the Hekatomnid family12. The possible taboo of a burial within the city walls at Halikarnassos is mitigated in part by the Karian tradition of cultic activity at tombs of the ruling family13. In addition, a tradition of burial within the city for exceptional individuals such as heroes or founders of cities or colonies both in Anatolia and on the Greek Mainland is attested in many of our ancient sources for the Archaic, Classical and Hellenistic periods14. Pindar tells us that Battus was buried within the walls of Cyrene, the city he founded (with some difficulty) in North Africa15. Thucydides mentions a mnemeion of Themistocles in the Agora of Magnesia on the Maeander16. 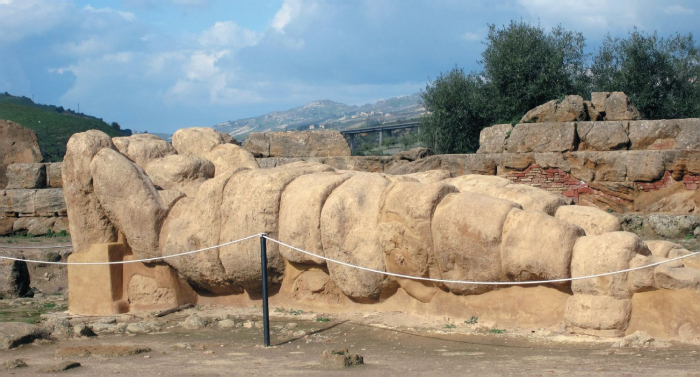 Intramural burial in the form of a heroon in the market place, or at least within the city, is allowed for Brasidas, as far west as Amphipolis and for Kineas as far east as Ai Khanoum17. 6When Maussollos brought about the synoikism of the villages of the peninsula and refounded the city of Halikarnassos he located his massive temple tomb at the center of town, above the harbor, on top of a series of chambers that may have once had a religious, sympotic or even funerary function18. Maussollos’s choice of a highly visible site on a hillside had an immediate precedent in nearby Lykia with the so-called Nereid Monument of Kheriga or his successor, Arbinas, which dates to about 370 BC. That monument is sited just outside the city gates. The heroon of Perikles at Limyra also occupied a prominent position on the slope of an acropolis, in this case looking down on the city and plain below19. The Maussolleion likewise dominates the city of Halikarnassos, but from within the city limits. Its sheer size suggests that its architects may have wished on one level to emulate a “far-shining monument” such as the sema of Achilles, described in Homer’s Odyssey, Book 24, which Agamemnon says was built on a tall headland in order to be telephanes, ‘far-shining’: “to be seen today by men far out on the sea, and those of future generations”20. The Maussolleion had heroic connotations through scale and siting. It also faced west, as was the case for many ancient heroa21. 7The architectural and sculptural programs of the Maussolleion, however, carry an iconographical implication beyond that of a Homeric-style or heroic monument. 23 For the following reconstruction of the Maussolleion’s superstructure, see Jeppesen 2002, passim. 8Archaeologists and architectural historians have reconstructed the Maussolleion by combining archaeological remains discovered at the site and in the crusader castle with interpretations of the frustratingly short and oblique descriptions of the Maussolleion in Pliny and Vitruvius. We know it was a building in three sections: a tall podium in three stages that provided a surface and backdrop for sculptural groups and friezes on all four sides, a colonnade of 36 columns and a steep, pyramidal roof of 24 steps. The ancient sources name the architect, Pytheos, the master sculptor, Satyros and record that a further four or five sculptors worked on the building. Their names number among the most famous in antiquity: Skopas, Leochares, Bryaxis, Timotheos and, according to Vitruvius, Praxiteles22. 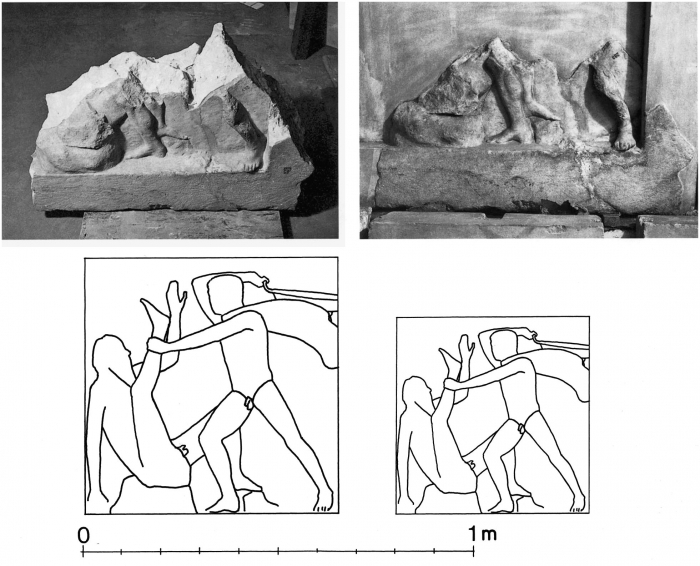 Fragments of friezes showing combats between Amazons and Greeks (fig. 8) and Centaurs and Lapiths have long been known. According to the most recent reconstruction, the Amazonomachy frieze is placed at the top of podium, just below the stylobate of the colonnade, while the Centauromachy encircled the pedestal of the quadriga at the pinnacle of the roof23. Life- size figures in a battle of Persians and Greeks circumscribed the lower podium’s top section (fig. 9). Colossal figures in a scene of hunting (on the West), and in procession with sacrificial animals (North, South and East), have been theorized and reconstructed from the fragments of freestanding sculpture. The latter are presumed to have been placed against the blue limestone backdrop of the lower podium’s lowest section. The figures moved towards the East where a colossal seated figure, most likely Maussollos, waited to receive their offerings before a doorway at the center of the East side (fig. 10). Over-life-size sculptures of gods, founding heroes, Lygdamid predecessors and Hekatomnid ancestors have been reconstructed in two tiers on blue limestone bases between the columns of the temple portion of the monument. 9A frieze of racing chariots runs along the top of the wall deep within the colonnade, behind the sculptures of individual figures. Coffers sculptured with heroic scenes decorated the ceiling of the porch. Acroterial sculpture and statues of lions decorated the steps of the pyramidal roof, which was topped by the aforementioned chariot, presumably that of Maussollos. 10In order to understand the iconography of the architectural and sculptural motifs we must analyze the Maussolleion of Halikarnassos with an eye to its reputation as something visually novel and vivid, and yet composed with the language of the architecture of coastal Anatolia, specifically Lykia, and also Greece, specifically Attica. The pyramidal roof, of course, speaks to the knowledge of Egyptian funerary pyramids which were recognized for their ability to transmit fame and endure for centuries24. 30 Stewart hints at this possibility in Stewart 1991, 170. 32 Borchhardt 1976, 66-80. Tuplin 2010, 165. As in Lykia, the high podium at Halikarnassos may make reference to the bastion of the temple of Athena Nike, finished by 410 BC. 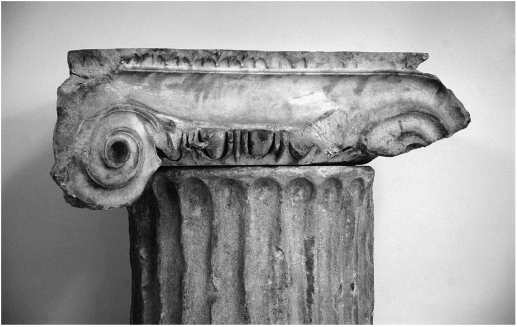 33 On the development of the Athenian Ionic capital with the 2-part echinus, see McGowan 1997. The column capitals of the Maussolleion (fig. 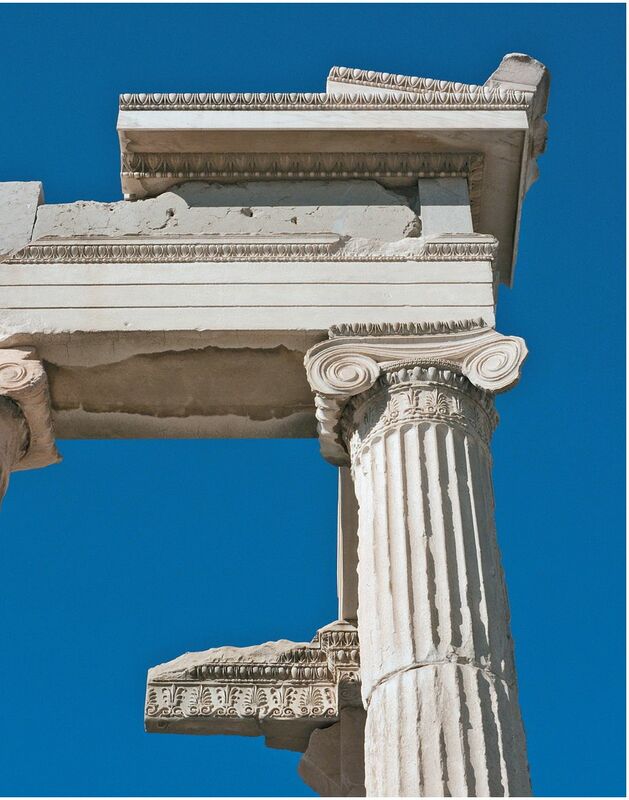 11) seem close in shape and style to the Ionic capitals of the temple of Athena Nike (fig. 12) as well. The space above the egg and dart echinus on both may refer to the 2-part echinus which developed in Athenian Ionic capitals over the course of the late 6th and the early 5th century BC33. 34 For the sima decoration see Jeppesen 2002, 131-132 with figs. 13.5-13.7. The added sculptural embellishment of the lesbian kymation on the abacus of the Maussolleion’s Ionic capitals and the carved lotus and palmette frieze34 on the sima may derive from similar ornaments seen on the Erechtheion, the building which housed the hero cult for the kings of Athens (fig. 13). The white marble figures against a dark stone used as background on the processional scenes on the North, South and East sides of the Maussolleion’s lower podium may refer to the Erechtheion’s frieze where white marble figures were attached to a dark blue limestone background35. 12The borrowing of motifs from the Perikleian building program in Athens may have significance beyond superficial imitation. References to the architecture of the temple of Athena Nike would underscore or represent the military successes of Maussollos, while any suggestion of the Erechtheion’s architecture and ornament might refer to the heroic status of the local ruler and his family at Halikarnassos. After all, the Erechtheion housed the cults for members of Athens’ original ruling families. 38 Carter 1983, 198-199 with reference to Waywell 1978. 13A carrying over of content and meaning from Athens to Halikarnassos might also apply to the largest of the freestanding sculptures – each 3 meters in height – that have been restored between the columns of the Maussolleion’s peristyle. Waywell and Jeppesen have proposed that the largest sculptures represent Hekatomnids past and present. Jeppesen has further argued that statues of two Hekatomnid generations may have stood between the columns of the pteron on the North. He also hypothesizes that sculptures of members of the Lygdamnid dynasty – former rulers of the city – occupied the intercolumniations of the South side. Jeppesen further proposes the attractive theory that the divine and heroic founders of Halikarnassos who are named in the Salmakis Inscription, might have stood between the columns of the pteron on the East and West sides of the Maussolleion36. Many have wished to see Maullossos’s portrait in the one well-preserved male figure in kingly robes (fig. 14). 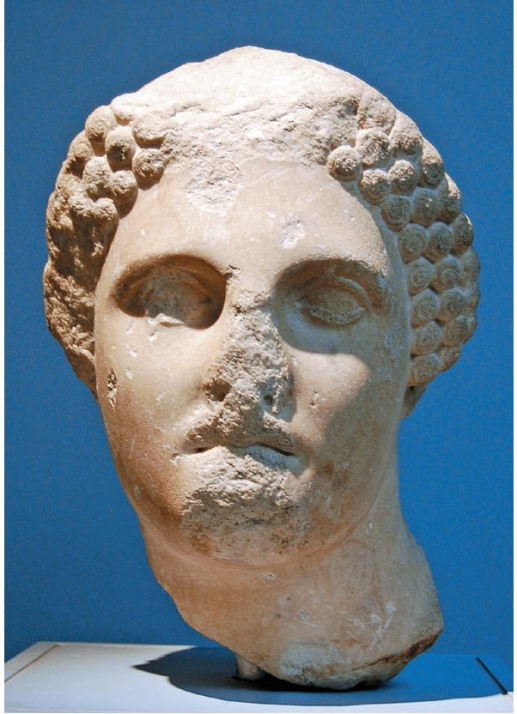 The archaizing hairstyle of the beautifully draped female figure, often called ‘Artemisia’, suggests that she represents a family member, lady in waiting or heroine from an earlier time period, a predecessor of the rulers of the middle of the 4th century BC. Another sculptural fragment preserves only the head of a beautiful, idealized female (fig. 15). Like the ‘Artemisia’, she wears an archaizing hairstyle where three rows of curls frame the face and forehead while a sakkos conceals the rest of the hair37. The white stone statues of sumptuously draped royals between the columns of the peristyle, which stood before a blue stone wall, must have had an immediate visual impact. They have been suggested as the inspiration for the disposition of female figures between columns on the Mourning Women Sarcophagus at Side, and the figures between columns on the Altar of Athena at Priene38. Again, they may have drawn inspiration from the white figures against the dark blue-gray Eleusinian stone of the Erechtheion frieze39. 14The decoration of Athenian buildings as a source for aspects of the Maussolleion’s sculptural embellishment may have a further iconographical meaning. One reason Jeppesen’s suggestion that the heroic founders listed in the Salmakis Inscription may have stood between the pteron’s columns on the East and West is so tantalizing is that it would provide another link between Halikarnassos’s temple tomb and the Erechtheion. Among the many shrines that building incorporated was the tomb or shrine of Kekrops. It also housed the tomb of Erichthonios40. The tombs of the legendary founding kings within the temenos of the Akropolis, in the center of Athens, would be one precedent for Maussollos to follow when designing his own tomb within the walls of Halikarnassos. The connection is enriched by the story that the sons of Kekrops numbered among the early founding heroes of Halikarnassos. According to the Salmakis Inscription (vv. 27-28) “...the mighty strength of Cranaus settled noble sons of Cecrops in the land of holy Salmacis”41. That the second king of Athens was credited with sending the sons of his predecessor, Kekrops, to colonize Halikarnassos reveals a significant bond between the city of Maussollos and the city of Athena. That bond might have strengthened yet another tie, as there was a long held assertion that Karians were among the early inhabitants of Attika42. 15The placement of statues of one’s forebears between and behind a temple’s colonnade may be directly inspired by the most important building in the Perikleian building program, the Parthenon. The earliest example on a Greek temple of sculptures of ancestors and founding heroes viewed between columns would be the Athenians who process from west to east on the frieze that decorated the exterior of the cella there (fig. 16)43. Eve Harrison has shown that whereas the ten groups of six riders on the South frieze suggest that that procession shows the citizens of democratic, 5th century Athens – the Athens of the ten tribes – the lack of obvious organization as well as the occasional archaizing dress and hairstyle suggests that the figures on the North frieze represent the ancestors of the Athenians, from the time of the kings or the four tribes, pre-democratic Athens44. At Athens gods involved in the foundation of the city and deities worshipped in the city, founding heroes and early kings, ancestors of the Athenians and present day (i.e. mid-5th century BC) Athenians are all present on the Parthenon’s two dimensional frieze. The figures are viewed from below, and are seen between the columns of the outer peristyle. At Halikarnassos the figures are fully three-dimensional and on a colossal scale, yet the message seems similar. On both the Parthenon and the Maussolleion the combination of divinities, founders, forebears, ancestors and present day citizens are seen between the columns of each building’s peristyle45. 16A hierarchy of scale exists on the Parthenon frieze: gods are larger than heroes and kings, and heroes and kings are larger than mortals. The scale of the figures between the columns of the Maussolleion, however, appears to be uniform. To render figures in three dimensions on a divine scale on the Maussolleion would transform the characters from revered and anonymous founders and ancestors to those who are the object of divine cult. The fact that the large scale sculptures of the Hekatomnids and their predecessors at Halikarnassos on the Maussolleion are made from Pentelic marble, the same marble used for the Acropolis buildings and sculptures – including the sculptures of ancestors and divinities on the pediments – would carry iconographic significance as well. 17Further sculptural decoration of the Maussolleion may make more than a nod in the direction of Athens. Amazonomachies and centauromachies such as seen on the Maussolleion were a staple of temple decoration throughout Greece. 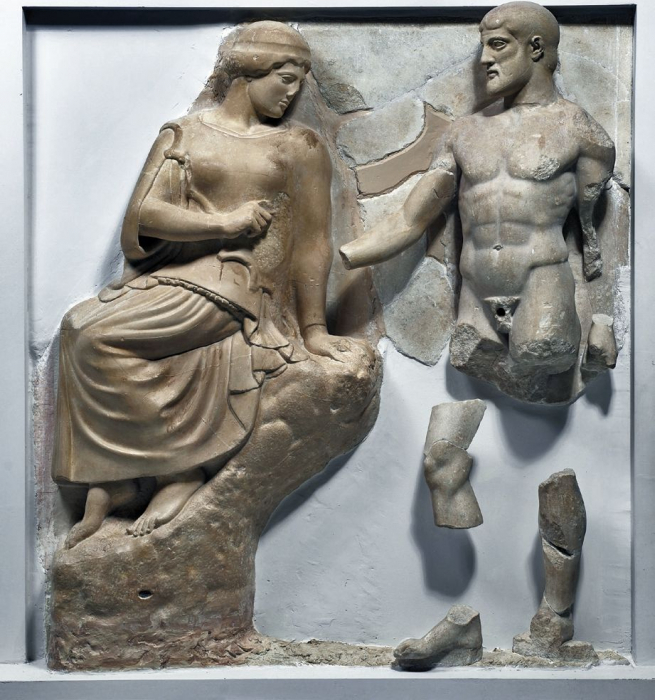 They were also represented on the west and south metope friezes of the Parthenon, a thinly veiled allusion to the triumph of the Athenians over the Persians in the first quarter of the 5th century. The conflict between actual Greeks and Persians – depicted by the life-size three dimensional sculpture of the Maussolleion – however, was unusual for temple decoration. That conflict is represented first on the south frieze of the temple of Athena Nike on the Athenian Acropolis in the last quarter of the 5th century BC (fig. 17). The Persian and Greek combat on the Maussolleion certainly has precedent on the Nike Temple in Athens and is likely to have been inspired by it. 18Another Athenian connection may be found in the sculptured coffers of the Maussolleion. Each shows a 2-figure scene of the heroic deeds of Herakles and Theseus. Herakles was a major Greek culture hero revered in many cities throughout the Greek world. Theseus, however, was the mythological ancestor of the Athenians credited with the synoikism of Attica and the foundation of the democracy. As such he is credited with having founded the New Athens of the late 6th century, which flowered during the 5th century BC. It has been suggested that the reference to Theseus would highlight Maussollos’s role as synoikist of the Halikarnassos peninsula, and his role as the new founding hero of the city of Halikarnassos46. 47 Gagne 2006, 14 on lines 27-32. 19The two figure scenes on the coffers are not unlike those of the deeds of Herakles and Theseus found on the metopes of the so-called Hephaisteion, the later 5th century Doric temple in the Agora of Athens (fig. 18). The struggle between Theseus and Skiron is one such composition that finds a parallel on the Maussolleion (Fig 19). Among the roster of the early founders of Halikarnassos enumerated in the Salmakis inscription is Anthes, a son of Poseidon, who settled in Karia with colonists from Troezen, the birthplace of Theseus (also a son of Poseidon)47. The Anthes-Troezen association would tighten further the connection between Maussollos and Theseus, the Athenian synoikist48. 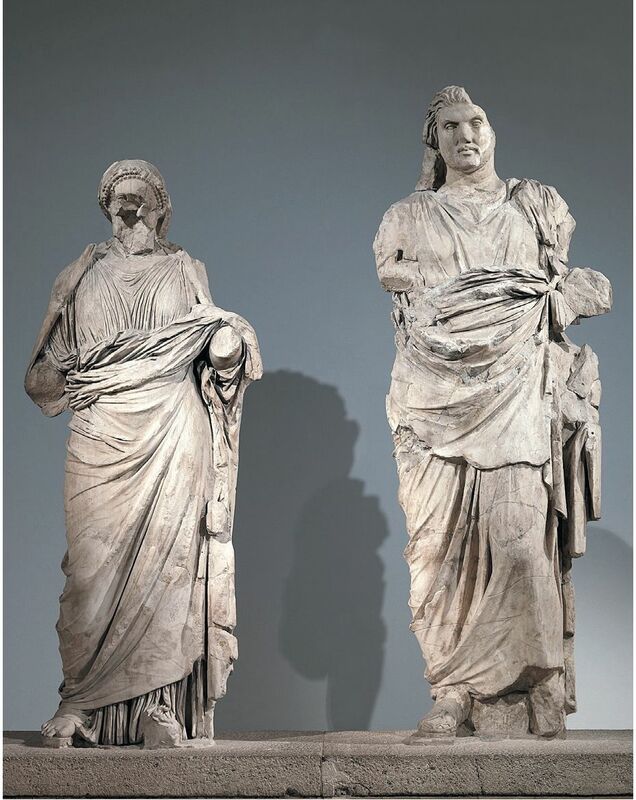 20The sculptural connection with Athens may have been recognized in antiquity. Between the two of them Pliny and Vitruvius name five sculptors who worked on the figural ornament of the Mausolleion. Whether or not Skopas, Leochares, Bryaxis, Timotheos or Praxiteles ever set foot in Halikarnassos may not be as important as the fact that four of the five sculptors are reported to have not only worked in Athens but three of the five are reputed to have themselves been Athenians49. 21The remaining sculptor, Skopas of Paros, although not an Athenian, worked in Attika. Statue bases in Athens preserve the signatures of Praxiteles, Bryaxis, and Leochares50. Praxiteles, Leochares and Timotheos were credited with sculptures there by ancient sources, and Skopas was said to have worked at Rhamnous51. 22Maussollos is credited with forwarding the Hellenizing of Karia, and his heavy use of Greek architectural motifs has been viewed as visual testimony to the Hellenizing process52. In the case of the Maussolleion the use of Greek ornament and sculpture goes beyond mere imitation. In sum, many aspects of the architectural and sculptural ornament of the Maussolleion of Halikarnassos call to mind those of the architectural and sculptural ornament of major temples of 5th century Athens, specifically those at the heart of the city, the Akropolis. The architectural motifs in addition to the sculptural imagery from temple of Athena Nike and the metope friezes of the Parthenon would carry with them a certain luster in highlighting Maussollos’s own military victories. Anthemion ornament that recalled the luxurious decoration of the Erechtheion and the use of white marble figures against a dark stone background, might refer to the cults of Erechthonios and Kekrops, founding kings of Athens, housed there and, likewise, reflect on the ruler cult of Halikarnassos. Pentelic marble sculptures of ancestors, and city founders on the Maussolleion, and Maussollos himself, seated before the east door or carried by the chariot on the rooftop might be inspired by the Parthenon frieze’s anonymous ancestors of pre-democratic Athens, viewed between the columns of the peristyle, as well as by the seated gods on that building’s east frieze, and further influenced by the gods and heroes of the pedimental sculpture. The deeds of Theseus on the coffers of the colonnade’s porch refer to his role as founder and synoikist of Athens and support Maussollos’s role as founder – in the tradition of Anthes of Troizen – and synoikist of Halikarnassos, in the manner of Theseus at Athens. 23The Maussolleion of Halikarnassos is indeed a spectacular intramural burial. Any qualms about burial within the city walls might be calmed by the fact that Maussollos’ tomb is a temple, and temples and sanctuaries had always been welcome within city walls in Greece and Anatolia. But with his temple tomb Maussollos goes beyond the iconography of a founding hero and synoikist. He, instead, extends it to that of a god in a temple53. The real founder of Athens was Athena. Her name is synonymous with that of the city. There is no question of which came first. Athens and Athena are inseparable. In finding sources for the ornament of the Maussolleion in the buildings most sacred to Athena in Athens, and by transferring and translating them into the sculptural and architectural ornament of his temple tomb, Mausollos also transfers the iconography of a deity to Halikarnassos. Like Athena in Athens, Maussollos’s name becomes synonymous with that of Halikarnassos. Through the carefully chosen iconography of architecture and sculptural ornament of his temple tomb, Maussollos becomes not only founding hero, but founding god. For which reason Pericles’s works are especially admired, as having been made quickly, to last long. For every particular piece of his work was immediately, even at that time, for its beauty and elegance, antique; and yet in its vigour and freshness looks to this day as if it were just executed. There is a sort of bloom of newness upon those works of his, preserving them from the touch of time, as if they had some perennial spirit and undying vitality mingled in the composition of them55. 56 Vitruvius 7, praef. 12, trans. Pollitt 1990, 198. ... concerning the Mausoleum [the architects] Satyros and Pythios [wrote a treatise]. Upon these men good fortune conferred the highest tribute. For their art is judged to have distinctive qualities that are praiseworthy in all ages and to possess an eternal freshness; after planning them with deep thought, they produced outstanding works. Individual artists undertook separate sections of the facade competing with one another in decorating the building and assuring its quality56. 26It is possible that when Plutarch describes the “bloom of newness... preserved from the touch of time” in the temples of the Perikleian building program, he has in mind Vitruvius’s description of the Maussolleion, with its “eternal freshness”. In fact, we have seen that the relationship between the two projects is more than superficial, or the result of a first impression. Maussollos and his architects and sculptors appear to have quoted very consciously certain aspects of the temples and shrines at the very heart of Classical Athens. But the quotations are not direct. Instead, the syntax of the Athenian buildings is reworked into a new language, or statement, in the Maussolleion at Halikarnassos. 58 And hope that Tomlinson meant the same! 27In 1963 R.A. Tomlinson suggested that the combination of Doric and Ionic features in Hekatomnid buildings of the 4th century BC was a sign of “barbarism”57. Tomlinson made his point almost 50 years ago. Today we might hope that when we view a combination of architectural forms of different styles we might understand it as a creative eclecticism on the part of the patron or the architect, in order that he might make a conscious point about the relationship of the new building to its predecessors in the larger Mediterranean world. The abundance of sculptural and architectural ornament, the surprising number of friezes and freestanding figures, the combination of podium with temple and pyramid does not signal the thought processes of a “barbarian”, and by this I mean “uncultured person”58. It is instead the sign of a very cultured person who knows the monuments of Athens so well as to refer to them throughout his building, and to adapt them for his own purposes, that he might create his mnema, the building that projects his memory for eternity, and incorporates the mythology and history of Halikarnassos into the memorial process. The iconography of architecture in the Maussolleion reveals that Maussollos claimed the heart of Athens as his own then reworked it in his own terms. In a way, he takes back what he might have considered rightfully his own. Athenians were among Halikarnassos’s founders, and Karians, after all, were Athens’ earliest inhabitants. Borchhardt, J. 1970, “Das Heroon von Limyra – Graabmal des lykischen Königs Perikles”, Archaeologischer Anzeiger, 1970, 353-390. Boulter, P.N. 1970, “The Frieze of the Erechtheion”, Antike Plastik 10, 1970, 1-28. Brommer, F. 1977, Der Parthenonfries, Mayence, 1977. Brosius, M. 2011, “Keeping Up With the Persians: Between Cultural Identity and Persianization in the Achaemenid Period”, in E.S. Gruen (ed. ), Cultural Identity in the Ancient Mediterranean, Los Angeles, 2011, 135-149. Brunwasser, M. 2011, “The Tomb of Haecatomnus – Milas, Turkey” (“Top 10 Discoveries 2010”), Archaeology 64, 2011, 25. Burkert, W. 1983, Homo Necans: The Anthropology of Ancient Greek Sacrificial Ritual and Myth (P. Bing, trans. ), Berkeley / Los Angeles / Londres, 1983. Carstens, A.M. 2002, “Tomb Cult on the Halikarnassos Peninsula”, AJA 106, 2022, 391-409. Carstens, A.M. 2005, “Review of Jan Zahle, Kjeld Kjeldsen, The Maussolleion at Halikarnassos. Vol. 6: Subterranean and pre-Maussollan structures on the site of the Maussolleion. The finds from the tomb chamber of Maussollos. Jutland Archaeological Society PublicationsXV:6. Aarhus 2004”, Bryn Mawr Classical Reviews 2005.05.02 and 2005.09.72. Carstens, A.M. 2010, “The Sepulchral Landscape of the Halikarnassos Peninsula in Hellenistic Times”, in R. van Bremen / J.M. Carbon (eds. ), Hellenistic Karia [Proceedings of the First International Conference on Hellenistic Karia, Oxford, 29 June-2 July 2006], Bordeaux, 2010, 331-352. Carter, J.C. 1983, The Sculpture of the Sanctuary of Athena Polias at Priene, Londres, 1983. Davies, J.K. 1971, Athenian Propertied Families, Oxford, 1971.
de Grummond, N.T. / Ridgway, B.S. (eds.) 2000, From Pergamon to Sperlonga: Sculpture and Context, Berkeley / Los Angeles / Londres, 2000. Diels, H. 1904, “Laterculi Alexandrini aus einem Papyrus ptolemaeischer Zeit”, Abhandlungen der Königlich Preussischen Akademie der Wissenschaften, Berlin, 1904. Forster, K.W. 1982, “Monument/Memory and the Mortality of Architecture”, Oppositions 25, 1982, 2-19. Gagne, R. 2006, “What is the Pride of Halicarnassus?”, Classical Antiquity 25, 2006, 1-33. Gruen, E.S. (ed.) 2011, Cultural Identity in the Ancient Mediterranean, Los Angeles, 2011. Harrison, E.B. 1988, “Greek Sculptured Coiffures and Ritual Haircuts”, in R. Hägg / N. Marinatos / G.C. Nordquist (eds. ), Early Greek cult practice [Proceedings of the fifth international symposium at the Swedish Institute at Athens, 26-29, June, 1986], Stockholm, 1988, 247-249. Harrison, E.B. 1989, “Hellenic Identity and Athenian Identity in the Fifth Century B.C.”, in S.J. Barnes / W.S. Melion (eds. ), Cultural Differentiation and Cultural Identity in the Visual Arts [Studies in the History of Art 27], Hanovre / Londres, 1989, 41-61. Henry, O. 2010, “Hekatomnos, Persian Satrap or Greek Dynast? The tomb at Berber İni”, in R. van Bremen / J.M. Carbon (eds. ), Hellenistic Karia [Proceedings of the First International Conference on Hellenistic Karia, Oxford, 29 June-2 July 2006], Bordeaux, 2010, 103-121. Hornblower, S. 1982, Mausolus, Oxford, 1982. Isager, S. / Pedersen, P. (eds.) 2004, The Salmakis Inscription and Hellenistic Halikarnassos [Halikarnassian Studies IV], Odense, 2004. Jameson, M.H. 2004, “Troizen and Halikarnassos in the Hellenistic Era”, in S. Isager, S. / P. Pedersen (eds. ), The Salmakis Inscription and Hellenistic Halikarnassos [Halikarnassian Studies IV], Odense, 2004, 93-107. Jenkins, I. / Waywell, G.B. 1997, Sculptors and Sculpture of Caria and the Dodecanese, Londres, 1997. Jeppesen, K. 2000, The Maussolleion at Halikarnassos: Reports of the Danish Archaeological Expedition to Bodrum, Volume 4: The Quadrangle: The Foundations of the Maussolleion and its Sepulchral Compartments [Jutland Archaeological Society Publications XV:4], Aarhus, 2000. Jeppesen, K. 2002, The Maussolleion at Halikarnassos: Reports of the Danish Archaeological Expedition to Bodrum, Volume 5: The Superstructure: A Comparative Analysis of the architectural, Sculptural, and Literary Evidence [Jutland Archaeological Society Publications XV:5], Aarhus, 2002. Kaltsas, N.E. 2003, Sculpture in the National Archaeological Museum, Athens (trans. D. Hardy), Los Angeles, 2003. Löwy, E. 1885, Die Inschriften griechischer Bildhauer, Leipzig, 1885. 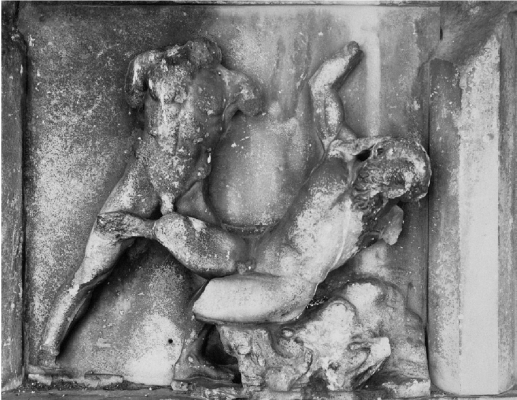 Marconi, C. 2009, “The Parthenon Frieze: Degrees of Visibility”, Res: Anthropology and Aesthetics, 2009, 157-175. McGowan, E.P. 1997, “The Origins of the Athenian Ionic Capital”, Hesperia 66, 1997, 615-632. Pedersen, P. 2012, “The 4th century BC ‘Ionian Renaissance’ and Karian identity”, in O. Henry (ed. ), 4th century Karian Identity [Varia Anatolica XXVIII], Istanbul, 2013, forthcoming. Ridgway, B.S. 1981, Fifth-Century Styles in Greek Sculpture, Princeton, 1981. Ridgway, B.S. 1997, Fourth-Century Styles in Greek Sculpture, Madison, 1997. Ridgway, B.S. 1999, Prayers in Stone: Greek architectural sculpture ca. 600-100 B.C.E., Berkeley / Los Angeles / Londres, 1999. Rumscheid, F. 2010, “Maussollos and the ‘Uzan Yuva’ in Mylasa: An Unfinished Proto-Maussolleion at the Heart of a New Urban Centre?”, in R. van Bremen / J.M. Carbon (eds. ), Hellenistic Karia [Proceedings of the First International Conference on Hellenistic Karia, Oxford, 29 June-2 July 2006], Bordeaux, 2010, 69-102. Säflund, M.-L. 1970, The East Pediment of the Temple of Zeus at Olympia: A Reconstruction and Interpretation of Its Composition [Studies in Mediterranean Archaeology 27], Göteborg, 1970. Shoe, L.T. 1949, “Dark Stone in Greek Architecture”, Hesperia Suppl. 8, 1949, 341-352, 481-482. Sturgeon, M.C. 2000, “Pergamon to Hierapolis: From Theatrical ‘Altar’ to Religious Theater” in N.T. de Grummond / B.S. Ridgway (eds. ), From Pergamon to Sperlonga: Sculpture and Context, Berkeley / Los Angeles / Londres, 2000, 58-77. Tomlinson, R.A. 1963, “The Doric Order: Hellenistic Critics and Criticism”, JHS 83, 1963, 133-145. Tuplin, C. 2011, “The Limits of Persianization: Some Reflections on Cultural Links in the Persian Empire”, in E.S. Gruen (ed. ), Cultural Identity in the Ancient Mediterranean, Los Angeles, 2011, 150-184.
van Bremen, R. / Carbon, J.-M. (eds.) 2010, Hellenistic Karia [Proceedings of the First International Conference on Hellenistic Karia, Oxford, 29 June-2 July 2006], Bordeaux, 2010. Walker, S. / Matthews, K.J. 1997, “The Marbles of the Mausoleum”, in I. Jenkins / G.B. Waywell, Sculptors and Sculpture of Carla and the Dodecanese, Londres, 1997, 49-59. Waywell, G.B. 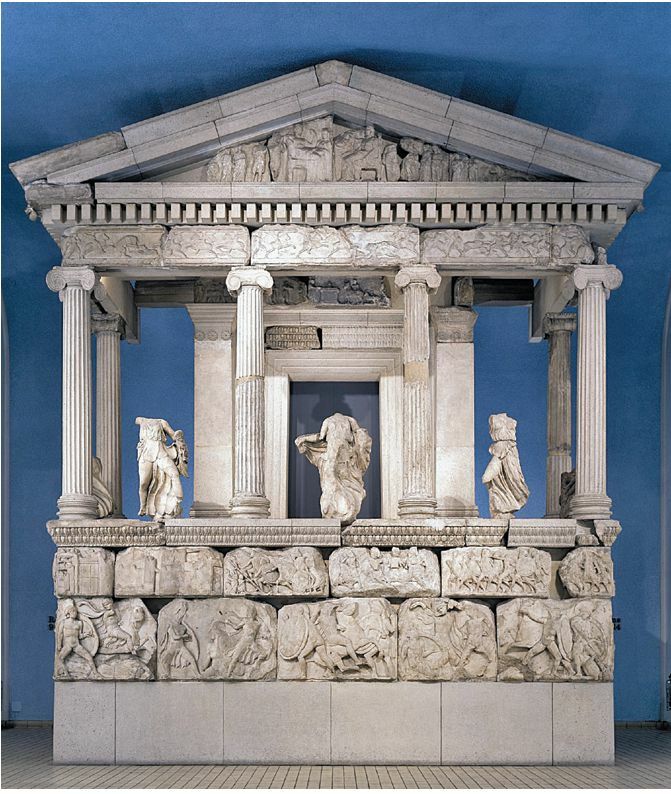 1978, The Free-Standing Sculptures of the Mausoleum at Halicarnassus in the British Museum, Londres, 1978. Waywell, G.B. 1997, “The Sculptors of the Mausoleum at Halicarnassus”, in I. Jenkins / G.B. 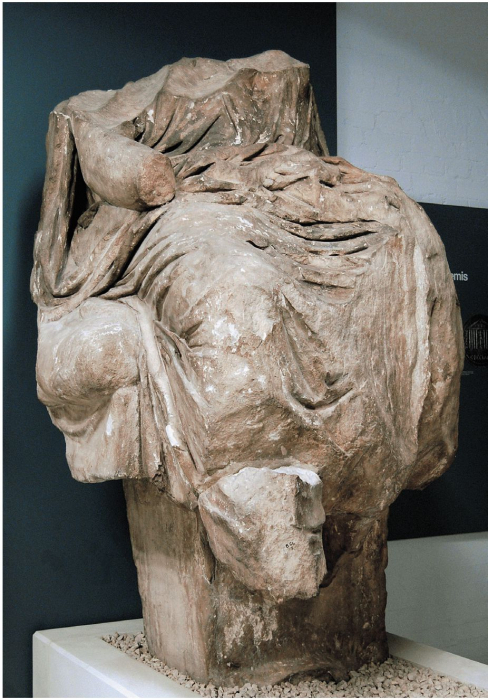 Waywell, Sculptors and Sculpture of Caria and the Dodecanese, Londres, 1997, 60-65. Zahle, J. / Kjeldsen, K. 2004, The Maussolleion at Halikarnassos: Reports of the Danish Archaeological Expedition to Bodrum, Volume 6: Subterranean and pre-Maussollan structures on the site of the Maussolleion. The Finds from the Tomb Chamber of Maussollos [Jutland Archaeological Society Publications XV:6], Aarhus, 2004. 1 The monument is called the mnema of Maussollos by Antipater of Sidon, Anth. Pal. ix.58.5 and in the Laterculi Alexandrini papyrus. Diels 1904, columns 8-9. See Hornblower 1982, 232-233 for discussion. 2 Cesare Cesariano’s woodcut of the Maussolleion is found in an early translation of Vitruvius into vulgate Italian by Bono Mauro and Benedetto Jovio, edited by Antonio Gallo and A. de Pirovano and published by Gotard in Como in 1521, Book 2, chapter 8.11, 13-15. 3 Colvin 1991, 31-34. Colvin discusses artists’ interpretations of descriptions by Pliny, NH 36.30-31 and by Vitruvius, de arch., 2.11 and 7. praef. 12-13. For the destruction of the Maussolleion, see Jeppesen 2000, 155-158. 7 For Atlas and Herakles, Ashmole 1972, fig. 97. For the Athena and the Stymphalian birds, Ibid., fig. 77 and for the Nemean Lion, fig. 72. On the association of Athena and the Acropolis rock on this metope, see Ashmole 1972, 69-72 and 198 n. 44. 8 For the Heroon of Perikles at Limyra see Borchhardt 1970, passim and 362 for the karyatids. Borchhardt provides an in depth study of the Heroon’s karyatids in Borchhardt 1976, 27-48. For the Persian source of the Heroon at Limyra’s friezes’ iconography, Borchhardt 1970, 373-376 and 1976, 66-80. For the Persian iconography of the Nereid Monument see Brosius 2011, 143-144. 9 Andrew Stewart remarks on the formula of the Ionic temple on a podium and also notes that the flamboyant sculptural style of the Nereid figures recalls that of the Nike temple parapet. See Stewart 1990, 171. 15 Pindar, Pythian V.93. For the tradition concerning burial of founders and heroes in the agora or within the walls of Greek cities and colonies in ancient sources, see Hornblower 1982, 255-256 and Herda in this volume. 18 Jeppesen 2000, 141 summarizes earlier ideas about the site and tentatively agrees that the area may have encompassed a cemetery while Zahle/Kjeldsen 2004, 169-179, see the pre-Maussollan chambers on the site as possibly related to a cult of Demeter and Kore, or functioning as ritual dining rooms. Carstens 2005 reiterates the possibility that at least one of the chambers of the Quadrangle area may have been a tomb, citing similarities to Cypriot tomb architecture. The most recent discussion on these pre-Maussollan chambers can be found in Pedersen 2013. 19 The reconstruction drawing by Borchhardt (Borchhardt 1970, fig. 2) illustrates beautifully the vertiginous position of the heroon. 22 Jeppesen (most recently, Jeppesen 2002, 39) argues that the name Praxiteles should be discounted, whereas Waywell disagrees, and keeps Praxiteles in the mix. Waywell 1997, 60. 27 Ibid. Also Ibid, 310, n. 126. Hornblower supports Tomlinson’s suggestion that the combination of Doric and Ionic features in Hekatomnid buildings of the 4th century BC is a sign of “barbarism”. See Tomlinson 1963, 139 and 145. 28 Borchhardt 1970, 373-376. For an in depth analysis of the karyatids at Limyra see Borchhardt 1976, 27-48. 29 Borchhardt notes that the heroon at Limyra is tetrastyle amphiprostyle like the temple of Athena Nike and the temple on the Ilissos. Borchhardt 1970, 361-362. Mary Sturgeon emphasizes the podium of the Limrya monument’s resemblance to the bastion of the Nike Temple when summarizing Borchhardt’s findings. Sturgeon 2000, 64. 35 Ridgway 1999, 120 “albeit on a much larger scale”; Shoe 1949 on the use of dark stone in Athenian architecture. Also see Stewart 1990, 168. Stewart notes that inscriptions suggest that the half-life size figures of Pentelic marble were shown in a procession. On the Erechtheion’s frieze in general see Boulter 1970, passim. Ridgway comments on the idea that attached light-colored figures on a dark stone background might ultimately derive from the design of statue bases with attached figures, such as that of the Athena Parthenos. See Ridgway 1999, 128. She first suggests this idea in Ridgway 1981, 164. 36 See Jeppesen 2002, 178-182 for the reconstruction of the colonnade and sculptures of the intercolumniations. For a recent description and interpretation of the Salmakis Inscription see Gagne 2006. I thank A. Herda for bringing this article to my attention. 37 For ‘Maussollos’ (BM 1000) see Waywell 1978, 97-103 and 103-106 for ‘Artemisia’ (BM 1001). For the well-preserved head of a woman (BM 1051), see Waywell 1978, no. 30, 106-107. For comments on the archaizing hairstyle of the ‘Artemisia’ and Waywell no. 30, see Waywell 1978, 41, 72, and 107. On archaizing coiffures in general see Harrison 1988, and for the hairstyle with three rows of curls framing the forehead p. 241, with note 40. The hairstyle of the bride figure on the east pediment of the Temple of Zeus at Olympia might be considered an early 5th century version of the same coiffure. Her front locks are cut in three rows of curls to foreshadow her impending marriage to Pelops. She raises the veil that will cover the back of her hair, as the sakkos will once she is married. See Säflund 1970, 106, fig. 69. Jeppesen would like to see the colossal female head (Waywell 30) as part of an acroterial group. See Jeppesen 2002, 112. 39 Ridgway notes that the original background color above the balustrade for the figures on the Mourning Women Sarcophagus was cobalt blue. Ridgway 1999, 119. 40 IG 1 (3rd ed.) 474, an inscription which summarizes the unfinished portions of the Erectheion in 409/8 BC mentions wall blocks yet to be placed at the “corner near the Kekropion”. Apollodorus, Bibl. 3.14.8, notes that Erecthonios was buried in the precinct of Athena. 41 Gagne 2006, 14. Translation by Gagne. Athenians were called “children of Kranaos” by several ancient authors: Aristophanes, Birds, line 123; Herodotos, Histories, 8.44; Aeschylos, Eumenides, line 993. 42 Burkert 1983, 226-228. Burkert’s examination of the textual evidence for Karians as aboriginal inhabitants of Attika remains the clearest analysis to date of the legend that Karians preceded even the Ionians in the area around Athens. 43 How much of the Parthenon’s frieze was actually visible to the viewer on the temple terrace has been discussed recently by Clemente Marconi. See Marconi 2009. 44 Harrison 1989, 49-53. The archaizing dress is seen especially in the case of the women on the north side of the East frieze. They wear a peplos without the chiton underneath. The bearded officials on North frieze wear their hair short in front, but long in the back, North Frieze X, Figures 38-43. The archaizing long braid is seen most clearly on figure 41, in an older photograph reproduced in Brommer 1977, pl. 64. The long hair is braided and wrapped around the head in a manner similar to the hairstyle of the Zeus of Artemision. Athens NM inv. no. X15161: Kaltsas 2003, 93, Cat. no. 159. 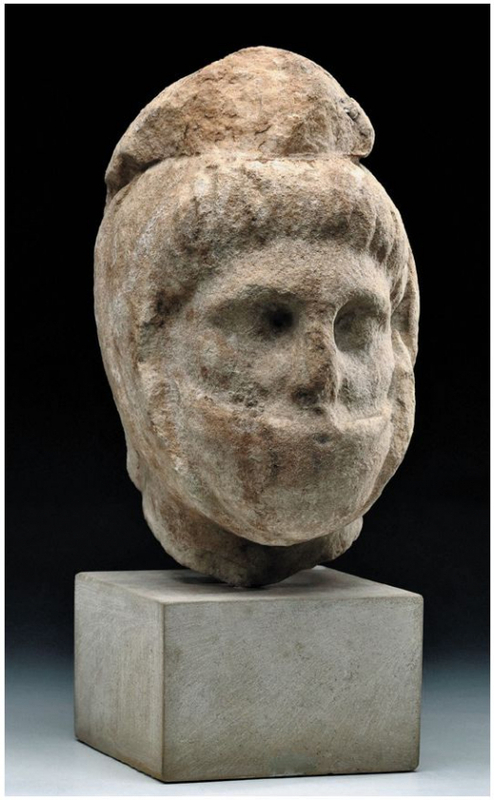 On the archaizing hairstyle of Zeus in the early Classical period, see Harrison 1988, 250. 45 In the case of the Maussolleion, the present day Halikarnassians are royalty, in contrast to the members of the demos of Athens seen on the Parthenon. 46 On the evidence for the synokisms of Maussollos see Hornblower 1982, 78-105. For the coffers of the Maussolleion see Jeppesen 2002, 87-95, with figs. 9.13 and 9.14. 48 On the connection between Troizen and Halikarnassos see Jameson 2004. On Theseus as the synoikist of Attika, see Thucydides 2.15. A sanctuary of Theseus was constructed in Athens in the second quarter of the 5th century when Kimon brought the hero’s remains from Skyros, Plutarch, Kimon 8. 5-7; Theseus 36, 1-4 and Pausanias, 1.17.2-3. Its exact location has not yet been determined. 49 Most of the evidence for whether or not the sculptors were Athenian is circumstantial or conjectural. 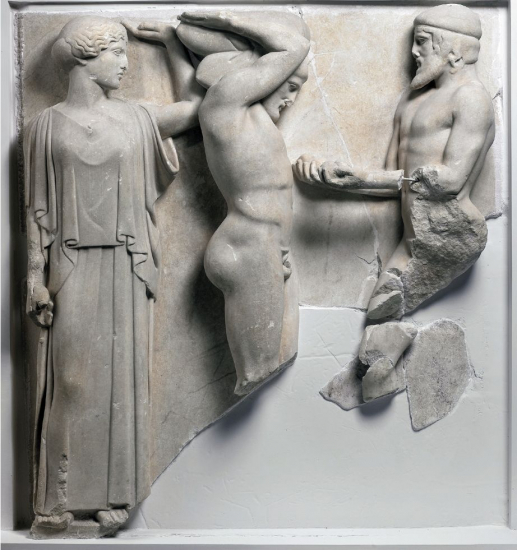 Praxiteles’ family has been documented in Athens: Davies 1971, no. 8334. See Stewart 1990, 277. Stewart calls Leochares an Athenian as well. Ibid., 282-284. Bryaxis may also be Athenian, Ibid., 282 and T149, p. 300. Clement of Alexandria, Protrepticus 4.43 mentions a Bryaxis who is an Athenian. Some, however, believe that the name Bryaxis might be Karian. For example, Borchhardt 1976, 22 or even an Athenian of Karian descent. As for Timotheos, Ridgway notes “We do not know his proper ethnic... Suggestions that he is an Athenian or an islander trained in Attika are based on his style, supposedly related to the Nike Balustrade; He is more likely to be a Peloponnesian, a local man who did not need to be identified in the building accounts of his own town.” See Ridgway 1997, 247-248. 50 Six Athenian bases are known for Leochares, See Löwy 1885, nos. 77-82 and Ridgway 1997, 248. A tripod base with sculptured relief, signed by Bryaxis was found in the Agora, Athens, National Museum 1733; Kaltsas cat. no 530, 254. At least 5 inscribed bases are known for Praxiteles, of which two are in Athens, and one of those is in the Theater of Dionysos in Athens. See Ridgway 1997, 262 and 282, n. 69. 53 Carstens points out the clear references to sacral architecture found in the siting and basic format of the Maussolleion: the temenos entered through a propylon, the scale, the peripteral podium temple form, and concludes “even if it was not a temple it presented like one and Maussollos was the god to worship.” Carstens 2002, 403. 54 For this definition of “novum” I follow Kurt W. Forster in his commentary on Alois Riegl’s 1902 essay on “The Modern Cult of Monuments”: Forster 1982, 8. 57 See Tomlinson 1963, 139 and 145. 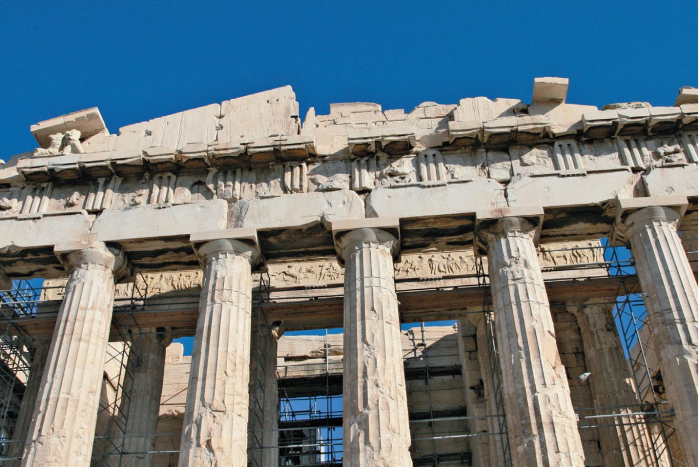 Tomlinson does not seem bothered by the fact that Doric and Ionic motifs are combined on the Parthenon, however. MCGOWAN, Elizabeth. 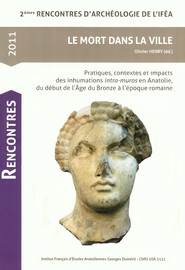 Maussollos’s Mnema : An iconographical approach to the architecture of the Maussolleion at Halikarnassos In : Le Mort dans la ville : Pratiques, contextes et impacts des inhumations intra-muros en Anatolie, du début de l'Age du Bronze à l'époque romaine [en ligne]. Istanbul : Institut français d’études anatoliennes, 2013 (généré le 26 avril 2019). Disponible sur Internet : <http://books.openedition.org/ifeagd/2396>. ISBN : 9782362450556. DOI : 10.4000/books.ifeagd.2396. McGowan, Elizabeth. “Maussollos’s Mnema : An iconographical approach to the architecture of the Maussolleion at Halikarnassos”. Henry, Olivier. Le Mort dans la ville : Pratiques, contextes et impacts des inhumations intra-muros en Anatolie, du début de l'Age du Bronze à l'époque romaine. Istanbul : Institut français d’études anatoliennes, 2013. (pp. 157-174) Web. <http://books.openedition.org/ifeagd/2396>. HENRY, Olivier (dir.). Le Mort dans la ville : Pratiques, contextes et impacts des inhumations intra-muros en Anatolie, du début de l'Age du Bronze à l'époque romaine. Nouvelle édition [en ligne]. Istanbul : Institut français d’études anatoliennes, 2013 (généré le 26 avril 2019). Disponible sur Internet : <http://books.openedition.org/ifeagd/2057>. ISBN : 9782362450556. DOI : 10.4000/books.ifeagd.2057.